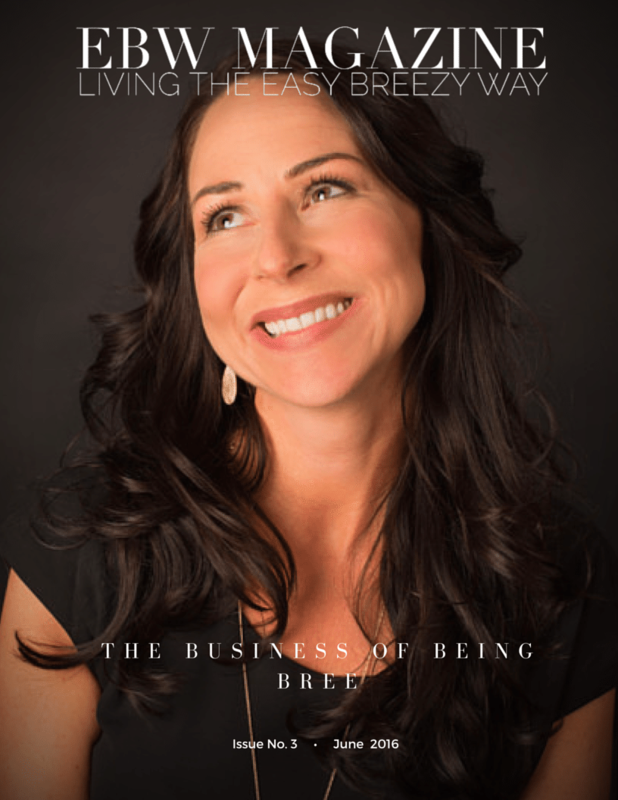 Bree Whitlock launches the Easy Breezy Way (EBW) Lifestyle Magazine, a digital magazine to help entrepreneurs build a successful business around their lifestyle. Bree Whitlock, Lifestyle and Branding Coach, Content Strategist, and Founder of Debut Studios, recently launched the Easy Breezy Way digital lifestyle magazine. The magazine is a monthly lifestyle magazine created to support entrepreneurs, business professionals, and those looking to create a lifestyle around their work and what they enjoy doing most. Topics of focus include health, business, parenting, entertaining, travel, relationships, and spirituality, to name a few. "With years of experience in learning what not do in my life and business, one of my goals is to help others by sharing my personal experiences," shared Whitlock, "In doing so, it's my hope that others will be inspired, learn, and even laugh out loud as I share some of the highs and lows of my personal story." The Easy Breezy Way shares insights on how to create a life of freedom, joy, and positive growth, as well as how to successfully build an online business. Each issue of the magazine focuses on a specific theme, with April's issue being "The Celebration of You," May's issue being "Body, Mind & Spirit," and June's issue being "The Business of Being Bree." The magazine, also referred to as EBW Magazine, is gearing up to release its fourth installment at the end of July with a theme of "The Art of Sharing Your Story." Whitlock shares, "I love helping others succeed, and for years, I've had the desire to create a lifestyle magazine that shared insights on how to live and build a business the "easy breezy way," while also sharing my knowledge to help others grow and build an online business without the growing pains I had to endure; and so the Easy Breezy Way was born." For more information about Ms. Whitlock and the Easy Breezy Way lifestyle magazine, visit http://www.theeasybreezyway.com and https://www.facebook.com/DebutVideoStudios/.